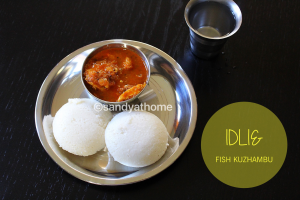 So in todays breakfast menu we have simple yet very very delicious recipe as seen in the title idli and fish kuzhambu. I don’t know how many like this combo but it is one of the best combos that I have heard from my friends and husband. Soft malligai idli served with hot chettinad fish kuzhambu made in claypot can make your tummy super filling and can kick start your weekend mornings pleasantly. I have also heard that serving the fish kuzhambu/ meen kuzhambu after one day adds more taste the gravy or curry. I myself have not tried it😂 you need to verify it with someone who tasted it. This fish gravy here is prepared in a traditional way made in chettinad style which means it is spicy. Preparing fish gravy with sesame oil adds more taste and enhances the taste. For this gravy I used tilapia fish but you can use any fish variety like king fish, mackerel, anchovies, red snapper, sardines etc. 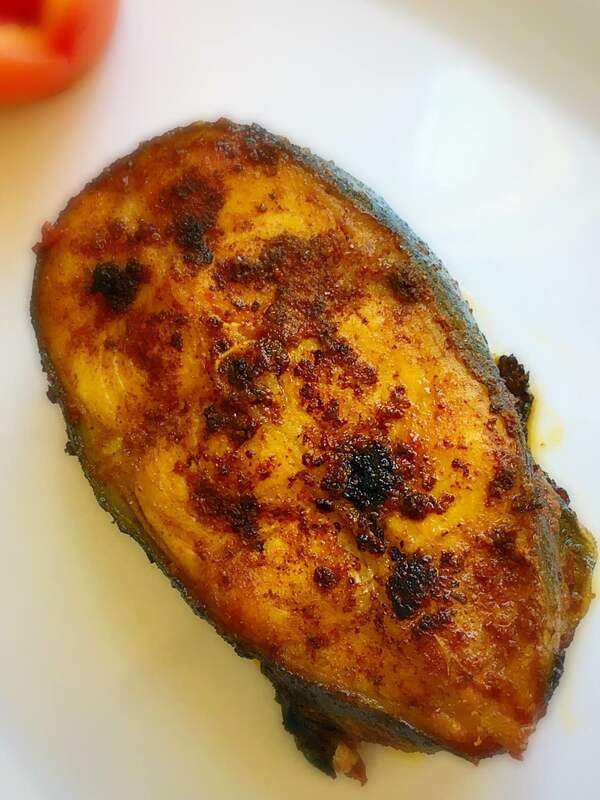 Fish kuzhambu also tastes great with dosa, rice, ragi porridge and lot more dishes too. 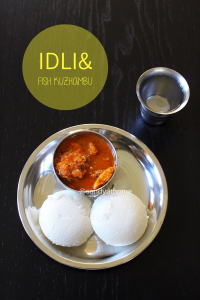 Idli can be served with any fish kuzhambu not just chettinad variety. Hope you like this super simple breakfast idea!! 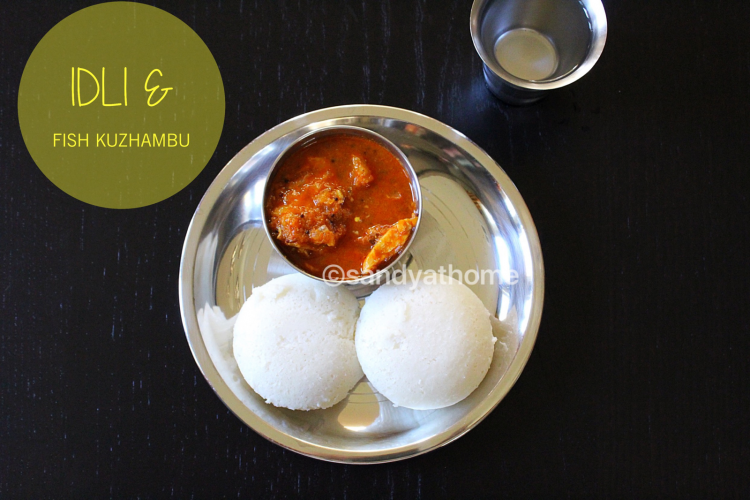 I made the idli batter the previous day as fresh idlis are soft, spongy and tastes good too. I got the fish cleaned first, soaked tamarind, chopped onions and then made tomato paste. While the gravy was cooking I steamed idli hence was able to serve the breakfast hot. If you have the previous days fish curry then your job is very simple, just steaming of the idlis and reheating the fish curry.